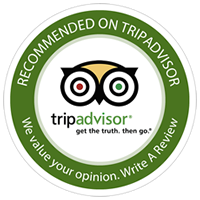 Book with the default setting (3 days for 2 adults) or change the number of adults, children and the duration then Update Price and book using the form above. 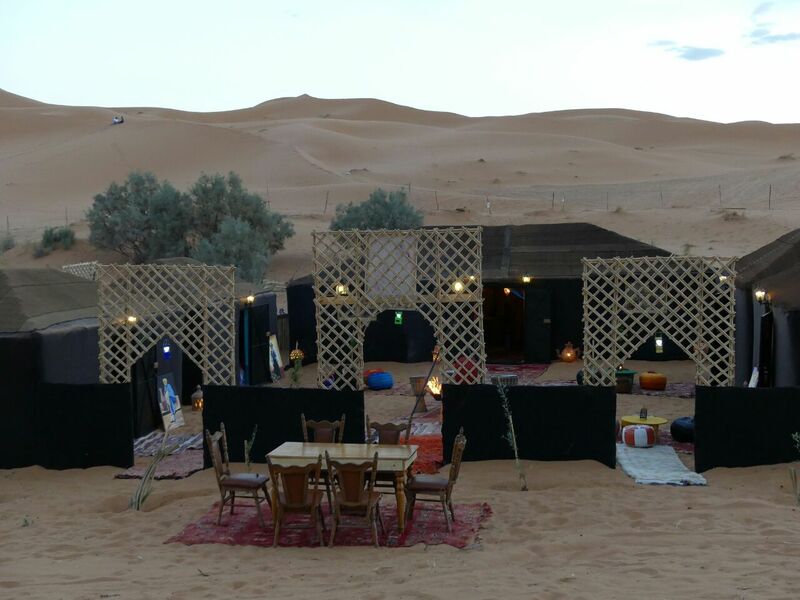 The Marrakech desert tour to Erg Chebbi dunes in Merzouga sahara desert is one of our most popular desert trips from Marrakech. 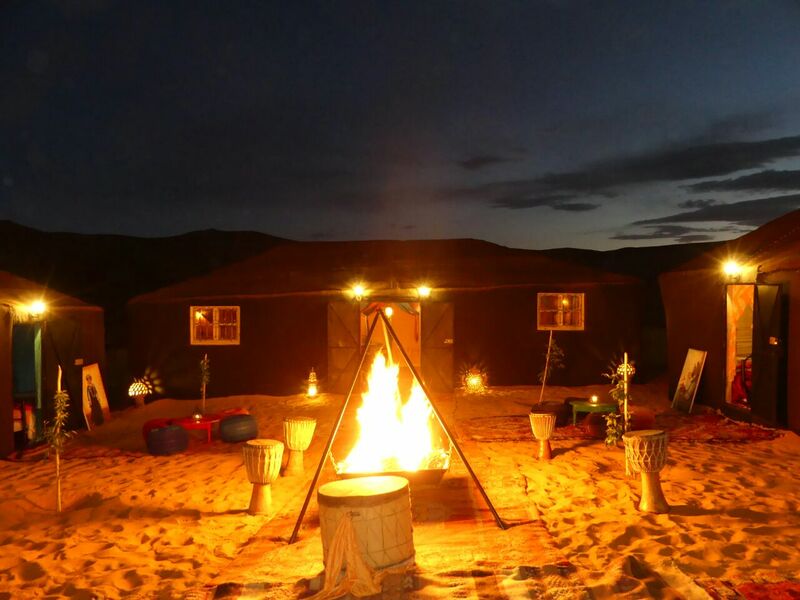 Most of travelers choose this Marrakech desert tour because it's the most optimal sahara tour that can offer in just few days a perfect and a complete desert experience with all classic desert activities like camel trekking, sandboarding, desert camp overnight and Berber music around the fire. 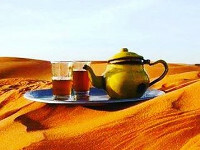 This desert tour from Marrakech to Erg Chebbi is similar to the Erg Chigaga dunes desert tour from Marrakech (Chigaga dunes is wilder than Chebbi dunes). 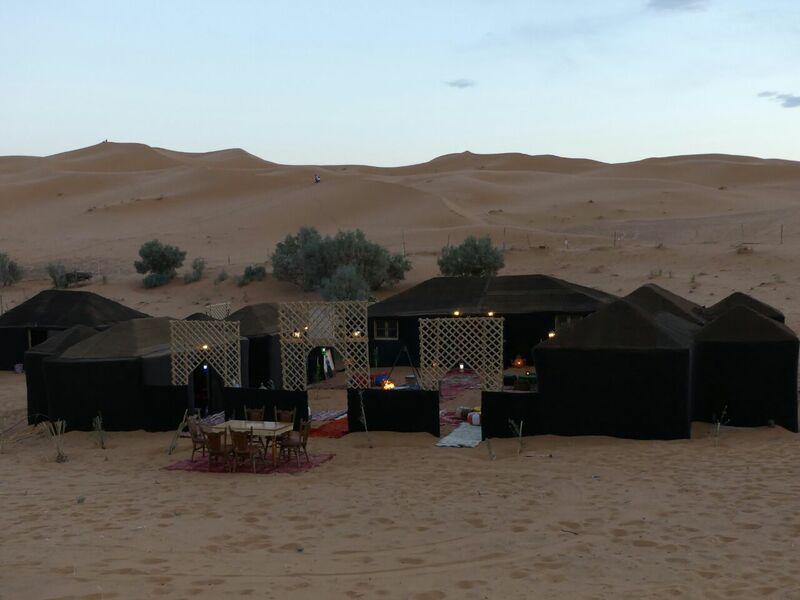 This private desert tour from Marrakech to Erg Chebbi dunes will take you to Merzouga sahara desert to explore the second biggest dunes in Morocco (after Erg Chigaga dunes). 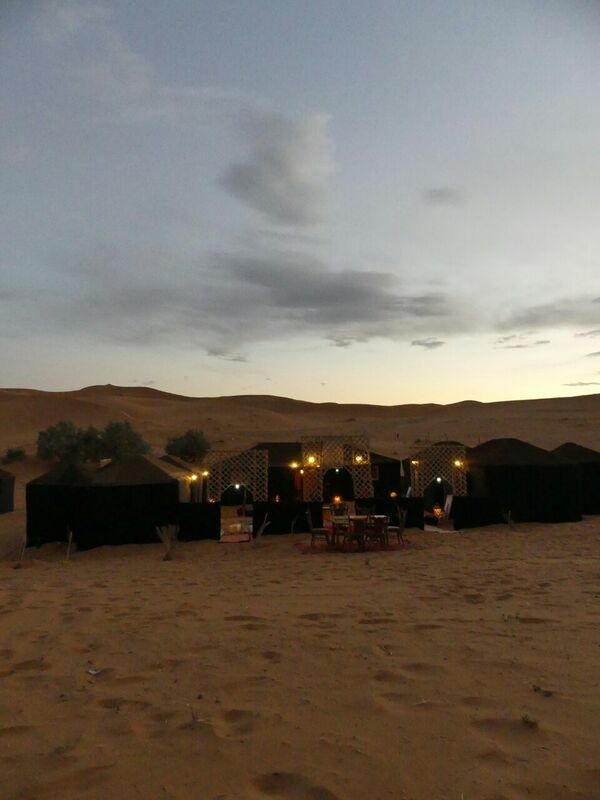 This sahara tour can ideally be booked as 3, 4, 5 or 6 days tour, but for more camel trekking, sandboarding, magical nights in the authentic desert camp, we recommend to take a longer tour. 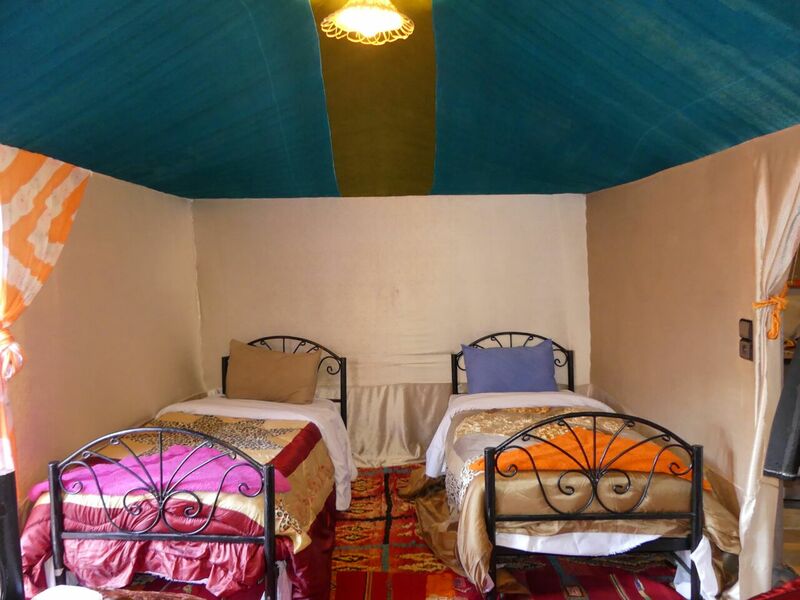 This desert experience as showed here in our pre-made private desert tour will take you to spend the first night in Dades Gorge in our trusted and well selected accommodations. 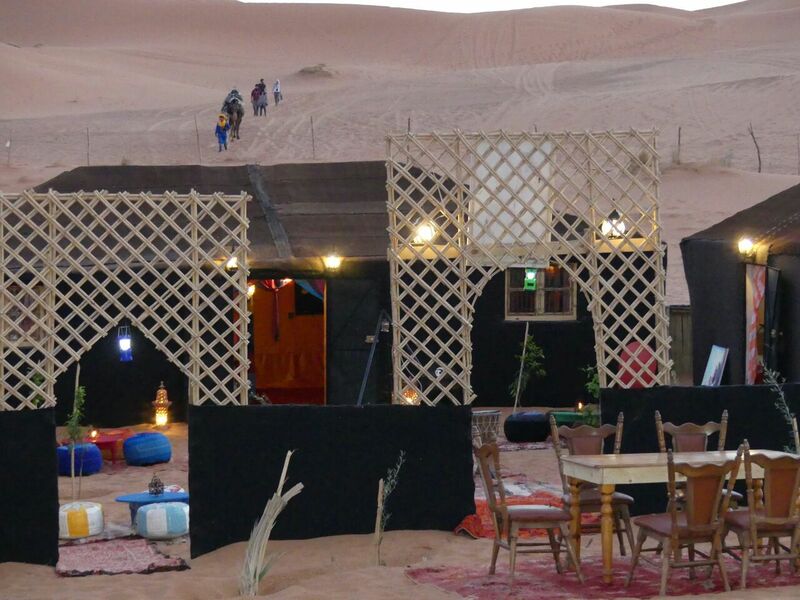 If you want to have a full day drive to maximise your time in the desert, there is no problem. The tour is all yours and you can customize it as you want. 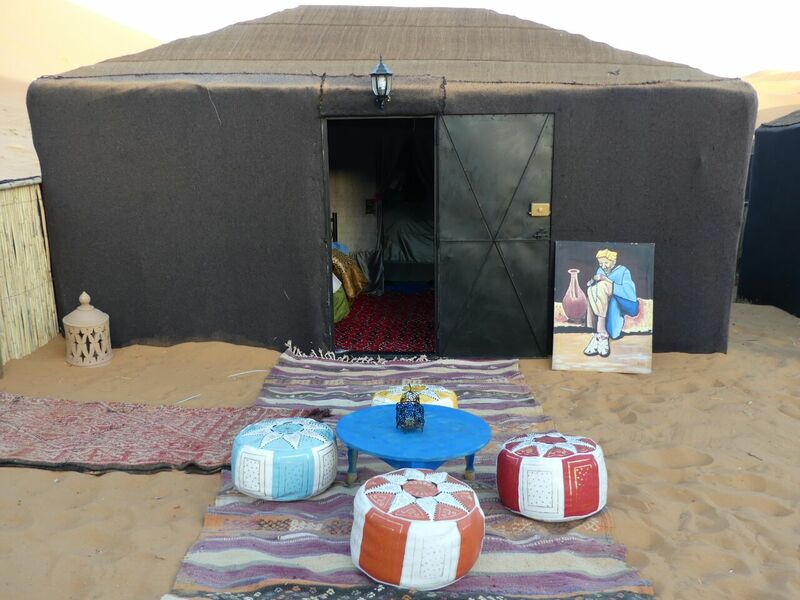 The Marrakech desert tour to Erg Chebbi is a solo traveler, group of friends, families, honeymoon tour friendly. 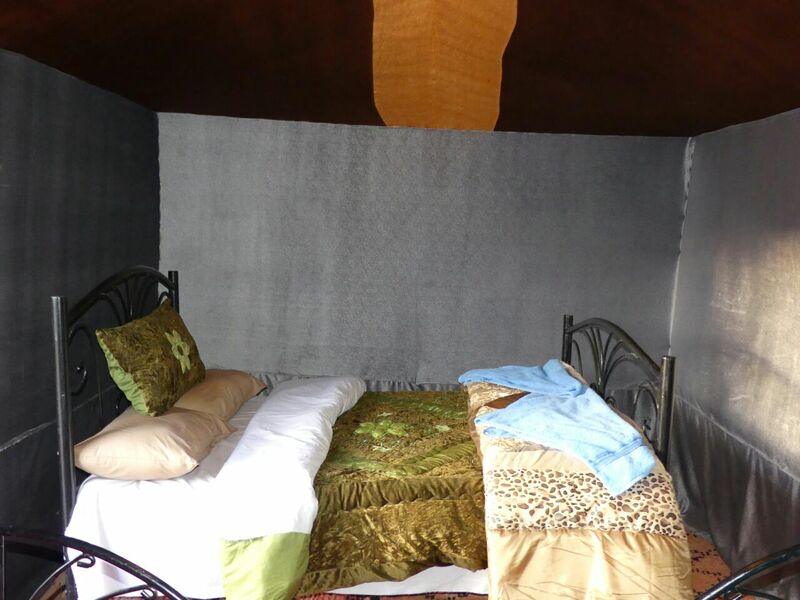 It is fiting with all kinds of private small groups and solo travelers. 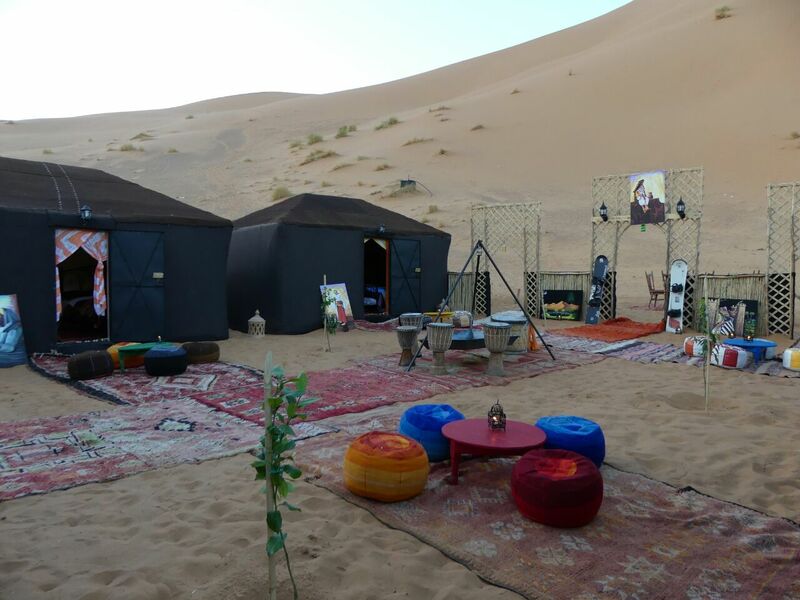 During Erg Chebbi dunes desert tour, you will discover the Tizi n'Tichka Pass, Telouet and El Glaoui Kasbah (depends on time), Ait Benhaddou Kasbah, Ouarzazate, Dades Gorge, Todra Gorge, Rissani and Erg Chebbi dunes. Depending on your time, there will be a lot of photo stops and breaks. 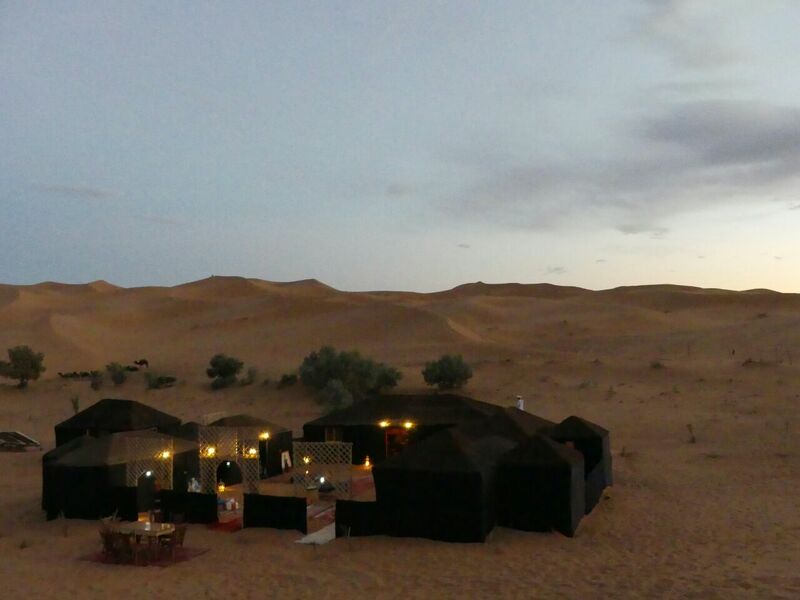 During your stay in Erg Chebbi dunes desert camp, you will have a private tent, all meals during your stay in the sahara desert. 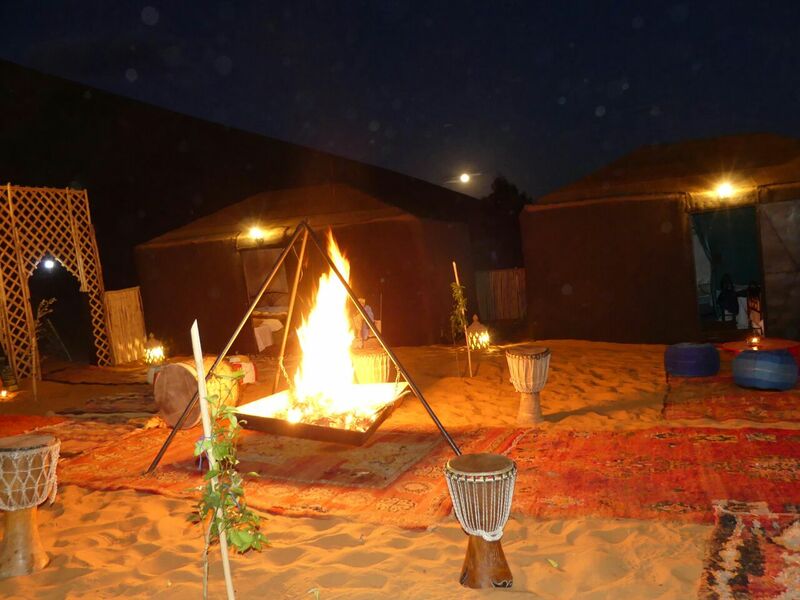 It's also includes desert activities like : camel trekking, sandboarding and Berber music around the fire under stars. 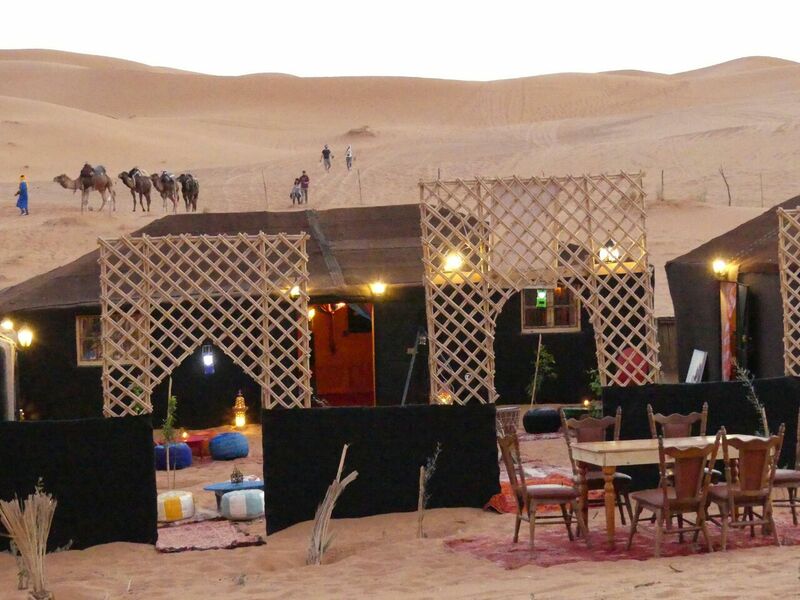 This private travel package is the perfect way to discover the sahara desert of Morocco. 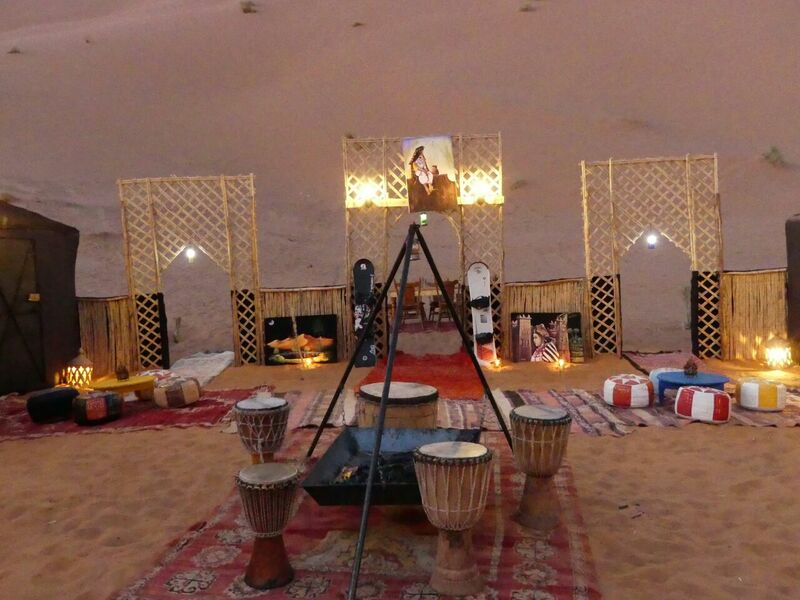 It's really worth it to book 3 to 6 days desert tour to Erg Chebbi dunes. 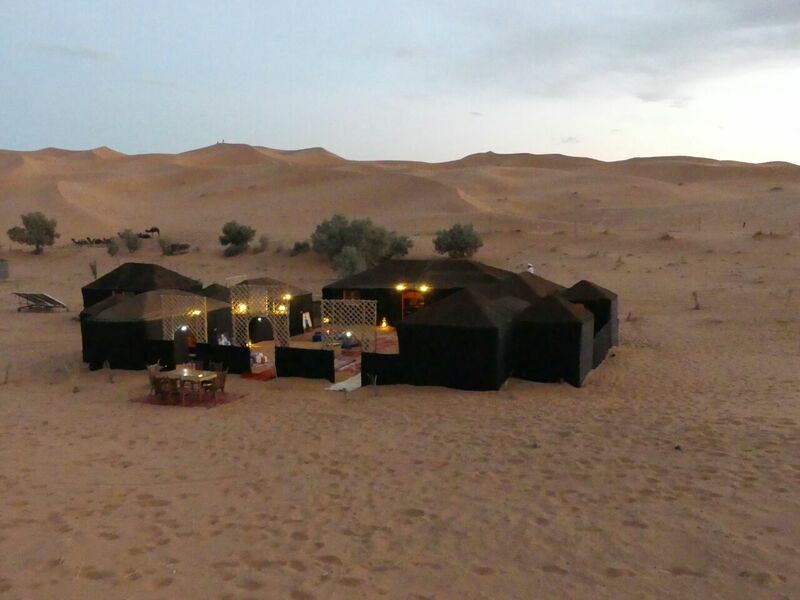 So if you are planning your stay in Marrakech, try to put this unique and amazing desert tour into your travel plans. Tizi n'Tichka is a mountain pass in Morocco, linking the south-east of Marrakesh to the city of Ouarzazate through the High Atlas mountains. 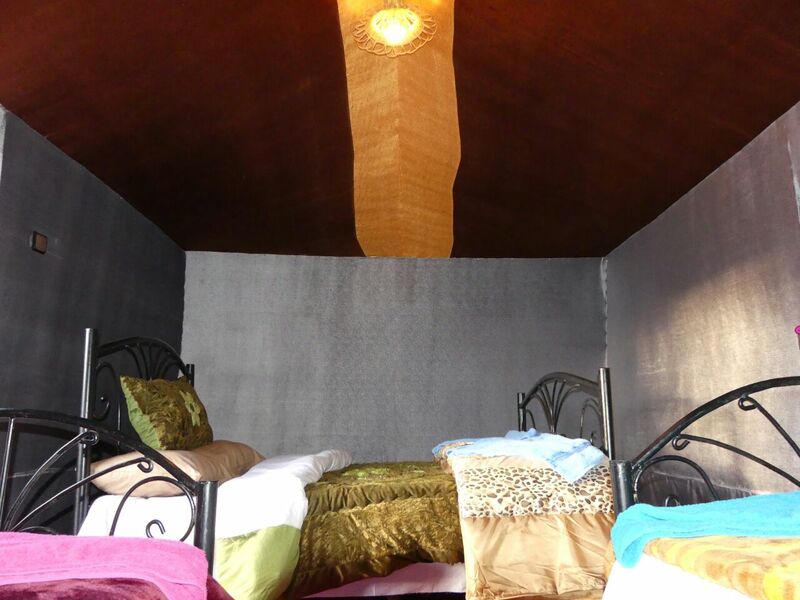 It lies between the great Marrakech Plains and the gateway of the Sahara Desert. From November - March, snow can often fall on the pass, but it can be warm all year round in the strong sun. It reaches an elevation of 2,260 m above the sea level and is the highest major mountain pass of North Africa. 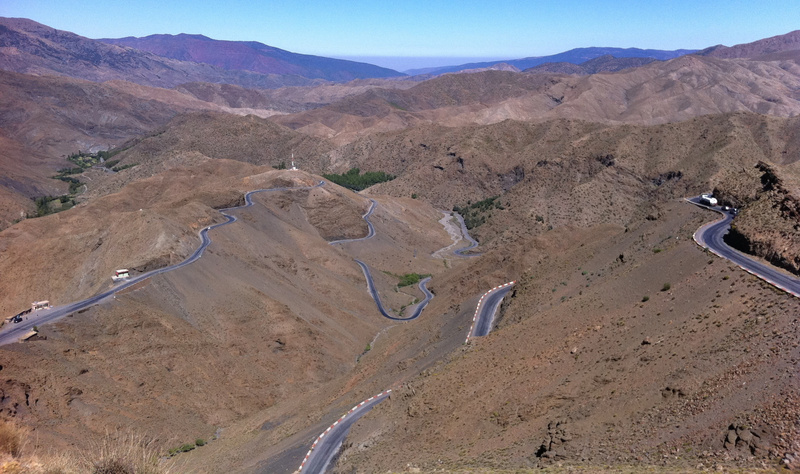 The road was constructed by the French military in 1936, and is now part of National Route 9 in Morocco. 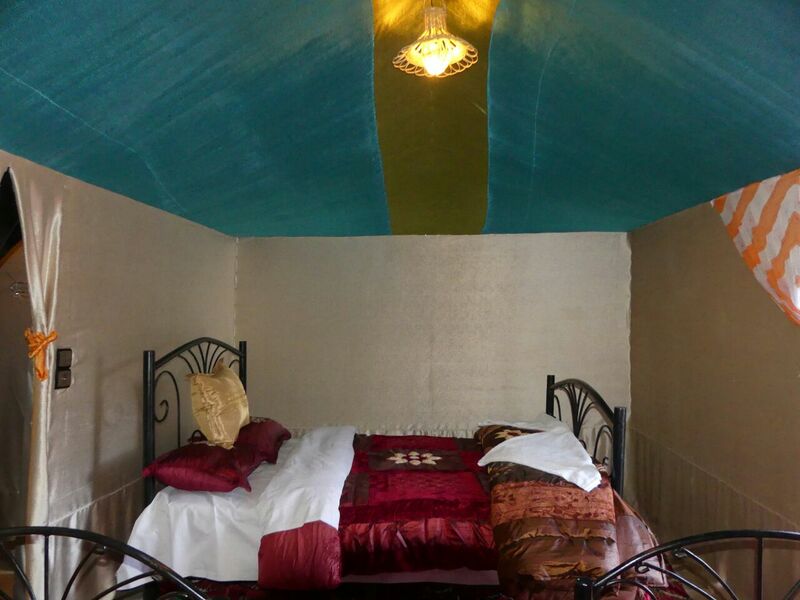 Telouet is a Kasbah along the former route of the caravans from the Sahara over the Atlas Mountains to Marrakech. It lies at an elevation of 1,800 metres (5,900 ft) and was the seat of the El Glaoui family's power. The palace can still be visited but it is steadily becoming more damaged and is slowly collapsing. In 2010, work was underway to restore the property. Thami El Glaoui or El Haj T'hami el Mezouari el Glaoui (1879 - 23 January 1956), better known in English-speaking countries as T'hami El Glaoui or Lord of the Atlas, was the Pasha of Marrakech from 1912 to 1956. 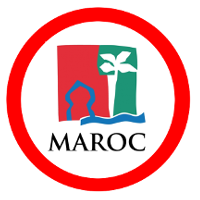 His family name was El Mezouari, from a title given an ancestor by Sultan Moulay Ismail in 1700, while El Glaoui refers to his chieftainship of the Berber Glaoua (Glawa) tribe of Southern Morocco, based at the Kasbah of Telouet in the High Atlas and at Marrakech. He became head of the Glaoua upon the death of his elder brother, Si el Madani, and as an ally of the French in Morocco conspired with them in the overthrow of Sultan Mohammed V.
Ait Benhaddou Kasbah is a fortified city, or ksar, along the former caravan route between the Sahara and Marrakech in present-day Morocco. Most citizens living in the area now live in more modern dwellings in a nearby village, although there are 4 families still living in the ancient city. This giant fortification, which is made up of six Kasbahs and nearly fifty ksars which are individual Kasbahs, is a great example of earthen clay architecture. 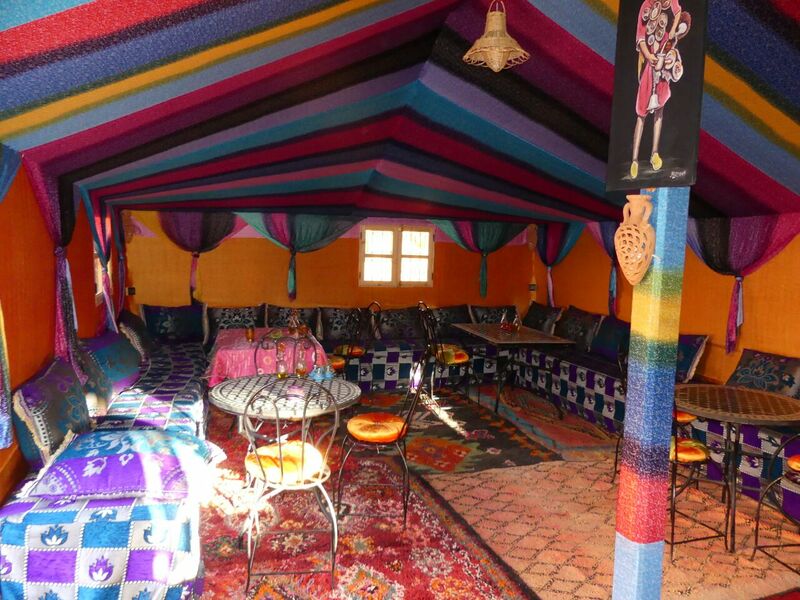 Which is also use in Moroccan architecture. Also used in parts of the TV series Game of Thrones. Ouarzazate nicknamed The door of the desert, is a city and capital of Ouarzazate Province in Drâa-Tafilalet region of south-central Morocco. 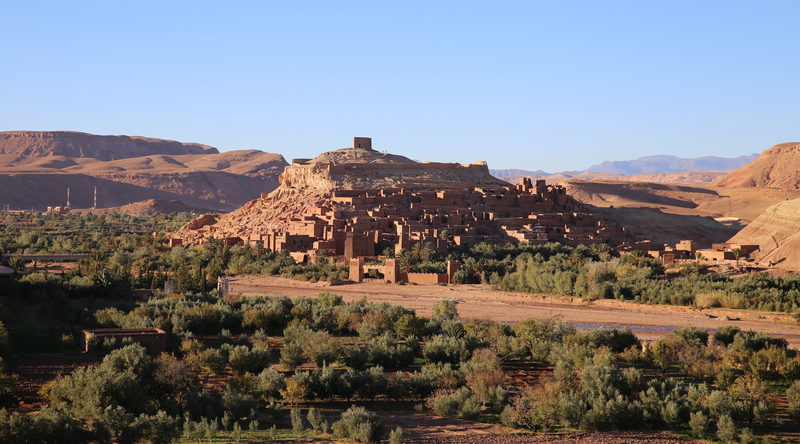 Ouarzazate is at an elevation of 1,160 metres (3,810 ft) in the middle of a bare plateau south of the High Atlas Mountains. 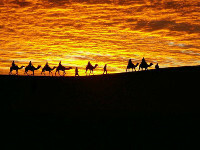 To the south of the town is the desert. 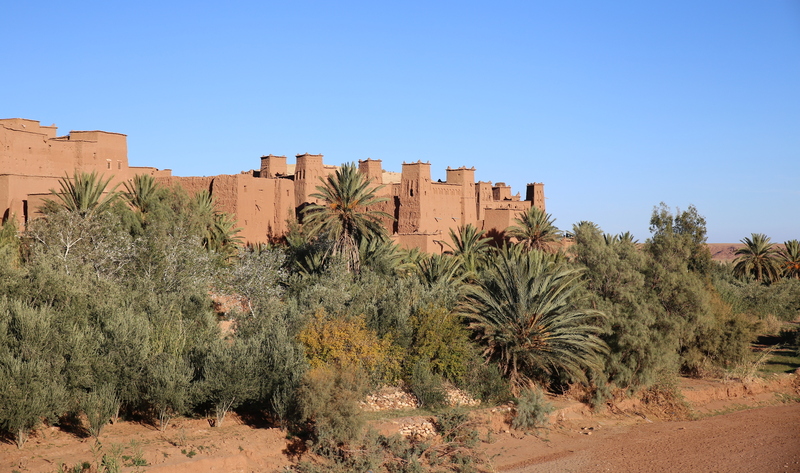 The town is chiefly inhabited by Berber-speakers, who constructed many of the prominent kasbahs and buildings for which the area is known. Ouarzazate is an important holiday destination in Morocco, as a base for excursions across the Draa Valley and into the desert. 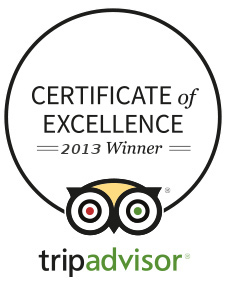 The fortified village (ksar) of Ait Benhaddou west of the city is a UNESCO World Heritage Site. Atlas Studios is one of the largest movie studios in the world, in terms of land area. Several historical movies were shot here, including The Living Daylights, Asterix & Obelix: Mission Cleopatra, Lawrence of Arabia, The Man Who Would Be King, Kingdom of Heaven and Babel. 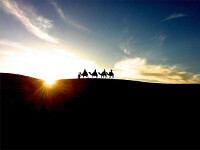 It was also the location of an episode of the television series The Amazing Race 10 and Game of thrones: Season 3. Skoura is a town in Ouarzazate Province, Drâa-Tafilalet, Morocco. According to the 2004 census it has a population of 2,808. 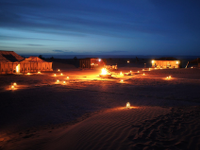 Skoura is a fertile oasis lined with immense palm groves. The Kasbah Amerhidil is part of Skoura palm grove. Dadès Gorges is a canyon of the Dadès River and lies between the Atlas Mountains and the Jbel Saghro of the Anti-Atlas mountain range, in Morocco. Berbers built many kasbahs in vicinity of gorges with defence purposes. These many kasbahs together with the natural beauty of the place have contributed to make it a tourist attraction in recent years. Todgha Gorge is a canyon in the eastern part of the High Atlas Mountains in Morocco, near the town of Tinghir. Both the Todgha and neighbouring Dades Rivers have carved out cliff-sided canyons on their final 40 kilometres (25 mi) through the mountains. The last 600 metres (1,969 ft) of the Todgha gorge are the most spectacular. Here the canyon narrows to a flat stony track, in places as little as 10 metres (33 ft) wide, with sheer and smooth rock walls up to 160 metres (525 ft) high on each side. 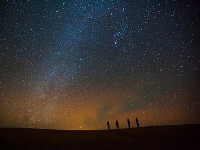 Erfoud is an oasis town in the Sahara Desert, in the Drâa-Tafilalet region in eastern Morocco. 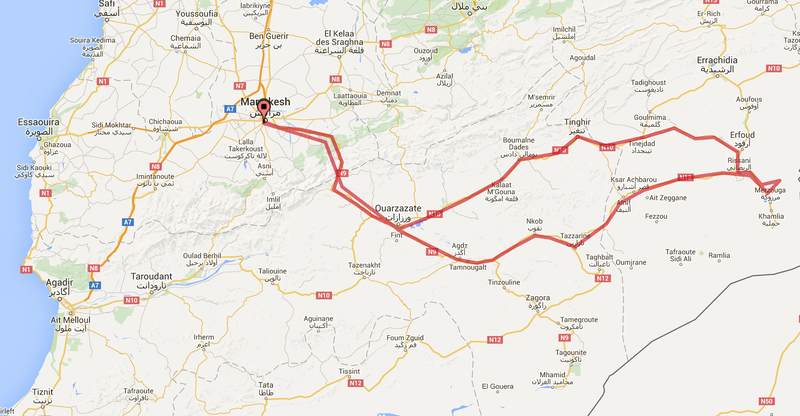 It is divided into several districts: Hay Salam, Hay Jdid, Hay Ziz, Hay el Bathaa, Hay Annahda, and Hay el Hamri. Rissani is a town in Errachidia Province in eastern Morocco, located near Erfoud. 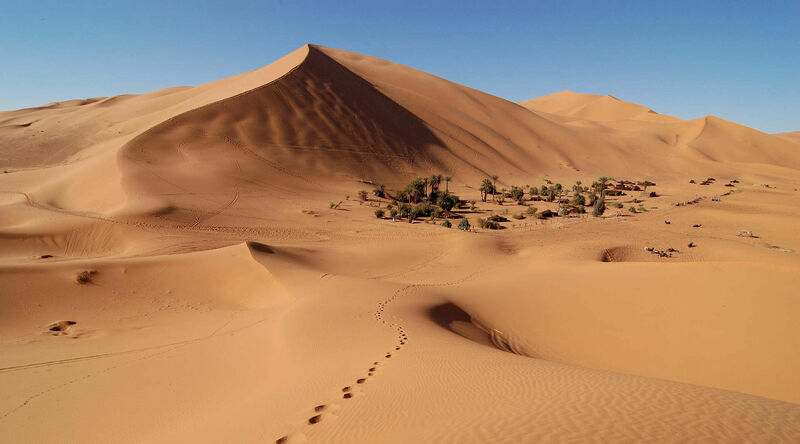 It is the closest town of significant size to the Erg Chebbi, one of the largest sand desert in Morocco. 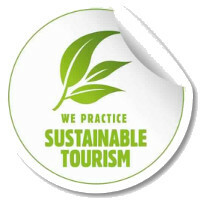 Its population in 2004 was 20,469. 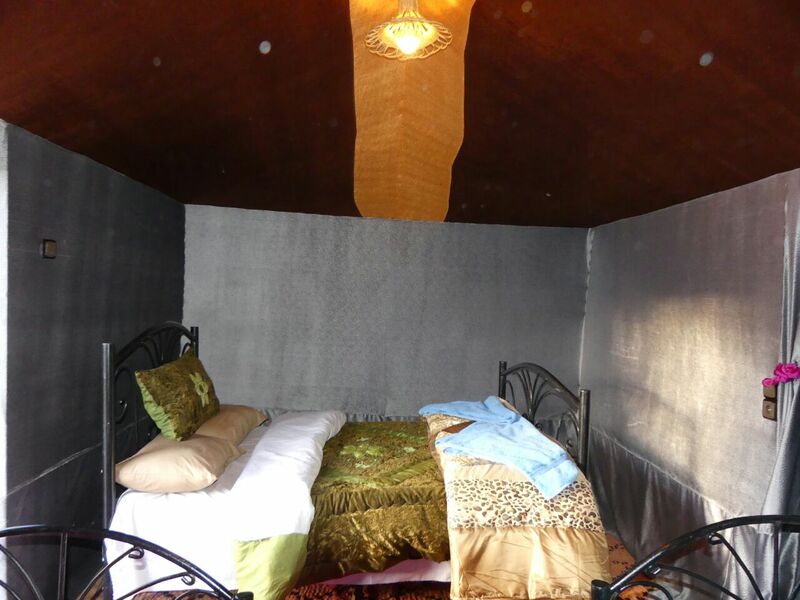 Agdz is a town in mid-southeastern Morocco, in the Atlas Mountains with a population of about 10,000. Agdz lies at the feet of Djebel Kissane and along the shores of the Draa River. The Draa also spelled Dra or Drâa, in older sources mostly Darha or Dara), is Morocco's longest river, 1,100 kilometres (680 mi). It is formed by the confluence of the Dadès River and Imini River. It flows from the High Atlas mountains south-(east)ward to Tagounit and from Tagounit mostly westwards to the Atlantic Ocean somewhat north of Tan-Tan. Most of the year the part of the Draa after Tagounit falls dry.